Created from the integration of three companies - Oman Refineries and Petrochemicals Company LLC (ORPC), Aromatics Oman LLC (AOL) and Oman Polypropylene (OPP) - Orpic is one of Oman`s largest companies and is one of the rapidly growing businesses in the Middle East`s oil industry.Our refineries at Sohar and Muscat, as well as our aromatics and polypropylene production plants in the Sohar complex, provide fuels, chemicals and feedstock to Oman and to the world. We are committed to creating new jobs for Omanis, while offering opportunities for all our employees to develop fulfilling careers, in a business in which they are proud to work. 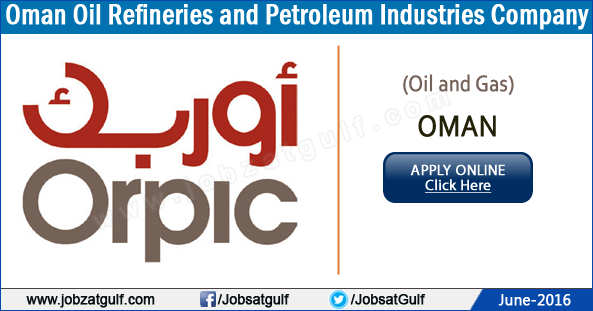 please email staffing@orpic.om enclosing a copy of your resume.